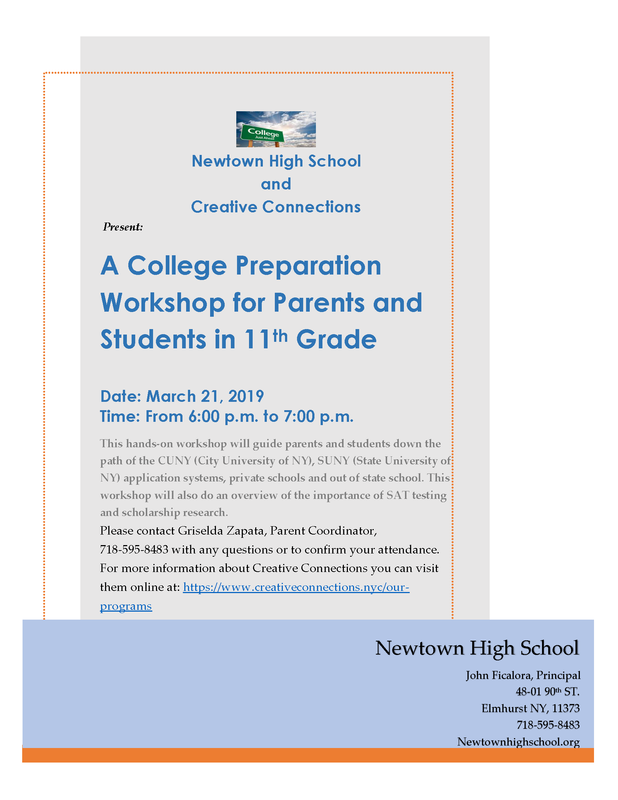 A College Workshop for Parents and Students in 11th Grade. Click the header for more information. Un taller de preparacion los padres y estudiantes en el grado 11. Para mas informacion haga click en el titulo. This workshop will prepare parents and students in 11th grade for the application system of CUNY ( City University of NY), SUNY (State University of NY), private schools and out of state schools and will also do an overview of the importance of SAT testing and scholarship research.